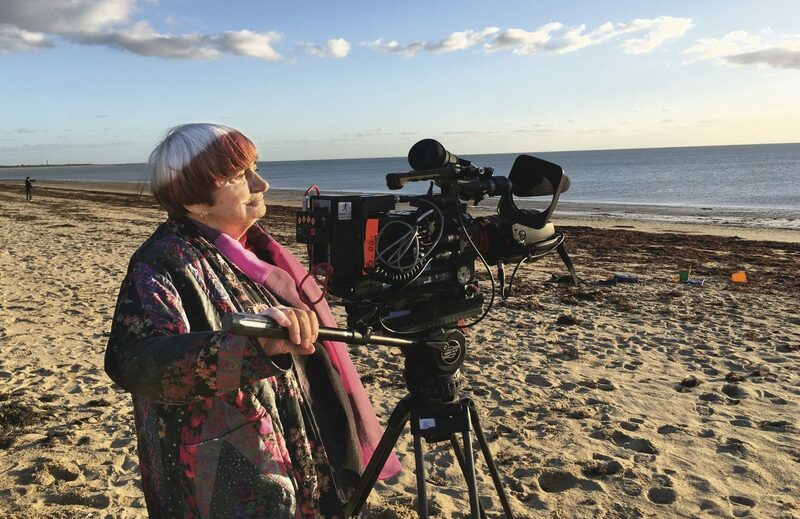 It may look like a glorified TED Talk, but Agnès Varda's final film is the perfect way for the legendary auteur to have the last word. Apologies if this reads like a eulogy for a living artist, but has anyone ever died more joyfully than Agnès Varda? Famous since the release of her debut feature in 1954, and even more so by 1961 — when her “Cléo from 5 to 7” arrived at the crest of the French New Wave — the Belgian photographer, filmmaker, and installation creator has only gotten more iconic as she’s grown older. That’s especially evident in “Varda by Agnès,” which she has called her final film. In part, Varda’s growing clout stems from the singular look she’s adopted (a two-tone bob and the wry smile of a good witch in a Miyazaki film). And in part, that’s because Varda has put so much of herself on camera. While her playful curiosity for the world and all its people is evident in her fiction work, it’s perhaps most palpable in her digital age documentaries, where she blurs the line between reality and representation by appearing on screen and filtering the facts through the sandy, cat-filled light box of her singular imagination. Some of these films have ostensibly used other people as their subjects (often the scavengers and working stiffs of the French countryside), but all of them have been self-portraits in one way or another — wistful delights that reflect the child-like wonder of an old woman whose failing vision has only made her fall deeper in love with the infinite number of things left to see. A bit more frail in every film, Varda has only remained so vibrant by documenting her own death. “Varda by Agnès” ties an anchor to the big idea that its namesake has been circling for most of the 21st century, and a long time before that. Leading us on a two-hour talk that loops through her life and art in order to knot them together once and for all, this swan song is basically just the bow on top; it’s a charming and characteristically bittersweet farewell that allows Varda to have the final word on her films. Perspective may be the only thing this glorified Powerpoint Presentation really adds to her body of work, but that makes it both an excellent primer for newcomers, and a wonderful parting gift for longtime fans. Varda insists there are several different films in each of her features, but never has that been more literally true than it is here. Mostly set in a French opera house where Varda sits on stage in a director’s chair and orates to a room full of bright-eyed young film students (some other stops from her speaking tour are excerpted along the way, but Varda wears the same maroon shirt for continuity’s sake), “Varda by Agnès” is liberally peppered with footage of the auteur’s previous work. At first, it seems like a chronological tour through her IMDB page. But Varda isn’t free-associating or going off the cuff; this is a well-honed show that zigs and zags through the decades — from the personal to the political, documentary to fiction, film to photography — with every bit of her usual purpose. If it sometimes feels like a Varda-ized version of a TED Talk, well, she gave one of those, and it is. Those words aren’t just an apt description for that piece of art, or for the rest of “Varda by Agnès,” but also maybe for Varda’s entire body of work, which is strewn with bright emblem of deaths and bound together by an unblinking focus on impermanence. Some of that energy is sublimated into the way Varda comments on the various clips, always referencing how things were back when, and how they might have changed since she filmed them (Varda’s thoughts on ephemerality are much better articulated in “Faces Places,” but in time — when that recent film is less fresh in our minds — it may be easier to appreciate the CliffsNotes version we get here). And she also loves to see things get recycled — to see faces, places and pieces of art repurposed into something new. Watching the 90-year-old filmmaker pick through the scrapheap of her own memories and fashion the bits into a fresh perspective on the relationship between reality and representation, stillness and movement, life and art, it seems that Varda has become something of a gleaner, herself. This may be the end for her, but looking out at those kids in that crowd, and imagining what they might be able to do with all that Varda is leaving behind — who knows, maybe she’s just getting started. 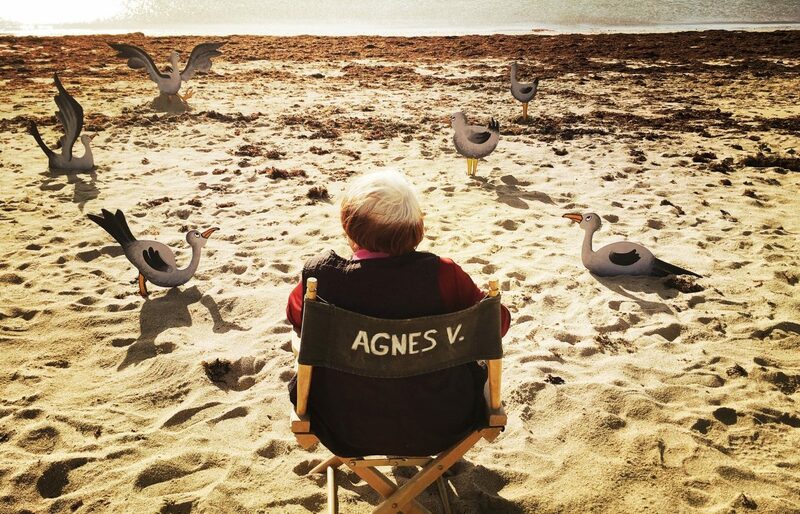 “Varda by Agnès” premiered at the 2019 Berlin International Film Festival. It is currently seeking U.S. distribution.